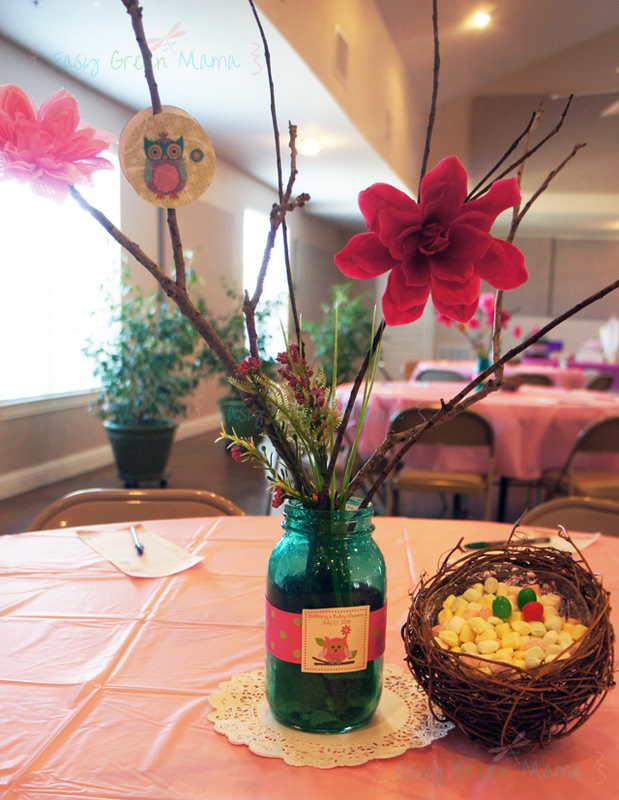 The featured DIY decoration for the Owl Themed Baby Shower Series this week are the DIY Mason Jar Centerpiece and branch bowls! I love the way the centerpieces turned out. We got so many compliments on them and most importantly my sister loved them! 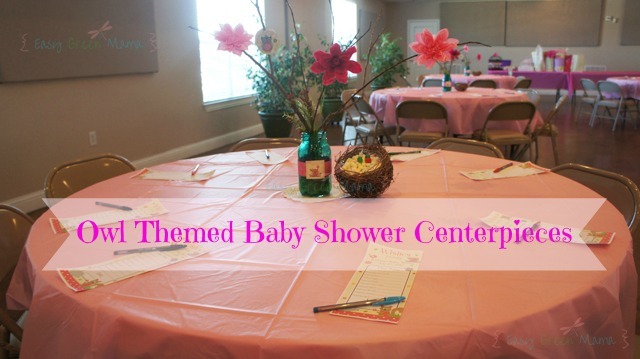 We even got a request from a friend to use them at her cousin’s upcoming baby shower! We reused colored mason jars from my other sister’s recent wedding. To learn how to color your own mason jars check out my post Here. We simple cut the ribbon to fit around the middle of the mason jar and taped it on. You could hot glue it if you want. We then added a personalized sticker from BDesigns4You. 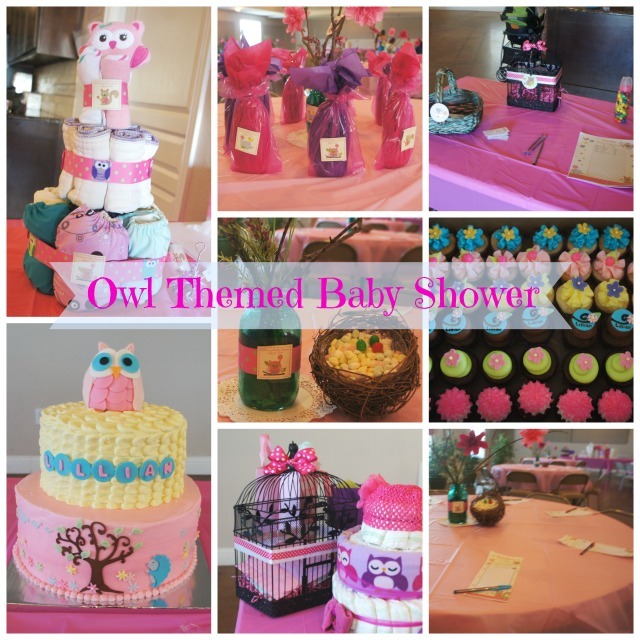 I used these Personalized Whimsey Owl Girl Baby Shower Stickers – Owl & friends on several other decorations. We gathered branches from my parents house (they have a lot of trees). We found branches that were the desired length and not to fat or skinny! We got floral foam and cut it down to fit at the bottom of the jars. We then arranged 3-4 branches and artificial flowers in each jar. Next, we hot glued on pink artificial flowers and decorative paper cut into a circle with an owl sticker onto the branches. I think this really gave them character! We placed each jar on a paper doilie. Next to each jar we used branch balls (also left over from my sisters wedding). We were able to bend the ball in half and make an opening to set a little bowl inside it. We placed mints in the bowls. Branch balls are sold at Walmart, Hobby Lobby, or any craft store. They retail $3-$5. Disclosure: I received complimentary products mentioned in this post.